Essayist Gerald Early once said: “When they study our civilization two thousand years from now, there will only be three things that Americans will be known for: the Constitution, baseball and jazz music. They’re the three most beautiful things Americans have ever created.” Whether or not you agree with those words, the next time you hear the word swing, you can think of two great, iconic American innovations. Both the game and the music were born in the United States. And their influences are known around the world. The sound emanating from the crack of the bat is as well loved as the long, soulful wail of a tenor saxophone. And significantly, both players require years of preparation, frequent practice, teamwork, motor memory and a high level of skill and expertise. The two all-American pursuits share other happy, historic connections. Both pursuits have relied heavily on 20th-century communications media to win audiences. And both have spread to many other countries. The very word jazz may owe its origins to baseball. The first documented use of the word—meaning pep, or energy and vigor—occurred in a 1913 newspaper article about the San Francisco Seals. "The poor old Seals have lost their 'jazz' and don't know where to find it," said the article. "It's a fact. . .that the 'jazz,' the pepper, the old life, has been either lost or stolen, and that the San Francisco club of today is made up of jazzless Seals." 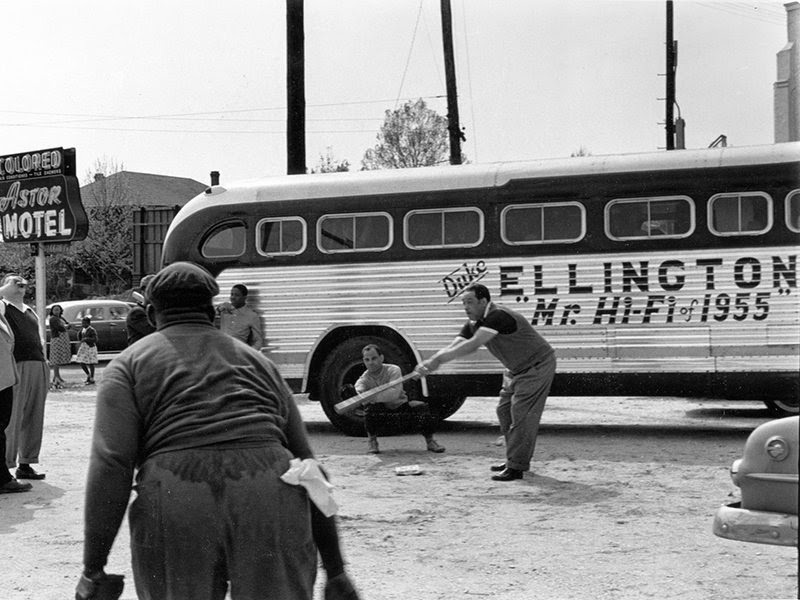 From the earliest days of jazz in New Orleans, baseball was popular with musicians. 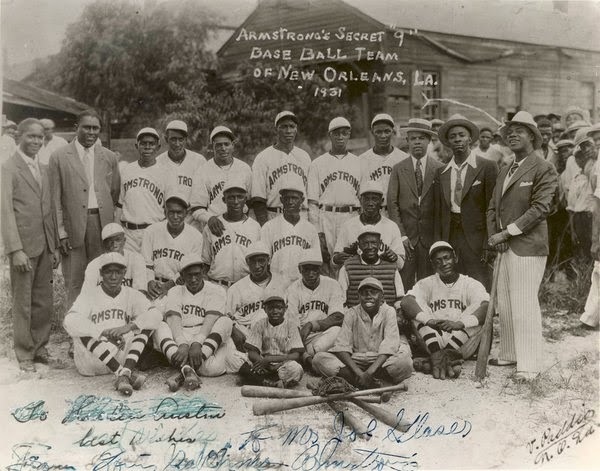 In 1931, trumpeter Louis Armstrong played in his hometown of New Orleans for three months, he took an interest in a local sandlot team dubbed “The Raggedy Nine” and bought them new uniforms and equipment. In thanks, they renamed themselves “Louis Armstrong’s Secret Nine.” At their games, Armstrong would throw out the first pitch. The Secret Nine’s gleaming white uniforms, however, proved much more impressive than their ball skills—many of the players refused to slide for fear of getting dirty.